I'm shooting the breeze with a friend over lunch, discussing the typical cache of topics ranging from gel polish to world peace when she halts, almost mid-sentence and emits a deep sigh. "What?" I ask. "What's wrong?" "I don't know. I mean, what does it matter? Does any of it really matter?" She muses. "Nothing. I don't know. It is what it is, right? Ugh. I hate that expression, by the way. What does it even mean?" I shrug. "Are you okay?" She shakes her head from side to side as if it's gone loose at the neck and needs tightening. "Not really. It seems like ever since I turned forty I've become way more...more..."
"Introspective? Existential?" I suggest, attempting to help her along. "No. That's not it!" She says and then sighs again. "I'm just, just, ya' know..."
"That's IT!" She exclaims. "Why do you suppose that is? I mean, I know OLD people get like that, but, I'm not old yet. Is this how it's supposed to be?" "Relax," I tell her. "It's perfectly normal. Haven't you ever heard of Middle Rage?" "No. Middle Rage. Oh, it's nothing new. Been around since the stone age." "Sure. 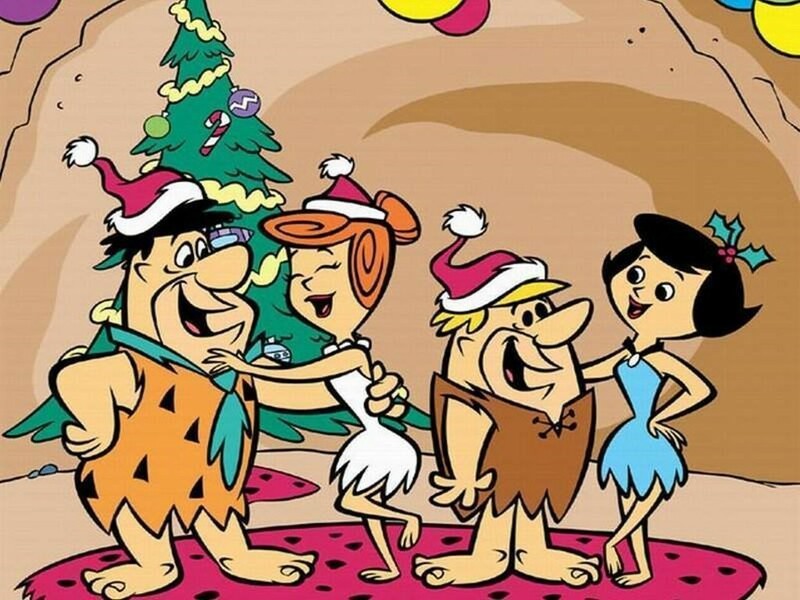 Why do you think they stopped filming The Flintstones? Once Betty and Wilma hit the big 4-0, they got too crabby for TV. Not to mention the scandals." "I'm told Betty and Barney suffered an awful acrimonious split and Wilma had a torrid affair with Mr. Slate. It rocked the socks off the quarry. All due to Middle Rage." "Wow," she says. "That's crazy. I can't believe I was never aware of this. Is there anything a person can do to avoid it?" "Fraid not," I say. "You just have to tough it out. You'll have good days and bad. It's like riding a roller coaster. Sometimes you'll be sitting calmly on the track and other times you'll be flying through the air doing 90, screeching like a madman." "But it gets better, eventually, doesn't it?" She's on the verge of tears now. Far be it for me to be the bearer of bad news. And yet...it won't do her any good to feed her delusions, give her false hope. I slowly shake my head. Break it to her as gently as I can. "Middle Rage ultimately turns into Old Rage. It's a natural progression." I reach my hand out to hers, tap it softly. "There, there. No sense getting upset over it." "It is what it is," I whisper. "Ugh. I was really hoping it wasn't terminal. The holidays are here and I did so want to be jolly." "Oh, that's no problem. They invented eggnog for this exact reason. Just have to double up. You'll be good as new." "Thank goodness!" She says. I can see the relief wash over her. For the moment she's her young self again. Sweet, gentle, kind, waiting on the track. And then she leans in, lowers her voice. "I always knew that Wilma was a fast number!"